It was like clockwork: after a little over a month back on Koh Tao, I was itching for a mini getaway again. Nothing major, just a teeny change of scenery to scratch my travel itch. So it couldn’t have been more perfect that I was already planning a weekend away on my neighboring island of Koh Phangan to meet up with college bestie and Alex in Wanderland regular Zoe, who was visiting Thailand with two of her own high school best friends, Mikey and Mikel. As I boarded the ferry, I was in serious vacation mode. Those of you familiar with my workaholic ways will know how enormously symbolic this gesture was: I didn’t even bring my laptop. The thirty miles between me and my Macbook was probably the furthest we’ve been apart since the day it was shipped to my door. Prior to this trip, my experience on Koh Phangan consisted of two Full Moon parties where I partied till sunup and took the first boat off the island after less than twenty-four hours on the island, one weekend trip for a Half Moon Party, and a two day getaway at a villa with friends. So while I’ve disembarked from the ferry at Thongsala several times, there’s still so much of Koh Phangan I’ve yet to explore. This edition’s destination? 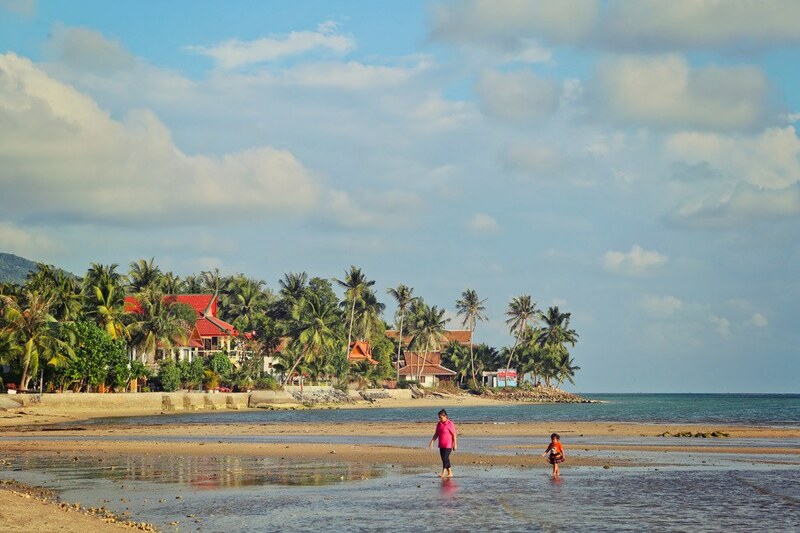 Charm Beach Resort, a bundle of oceanfront charm in Baan Tai. I have to admit Baan Tai wasn’t my first choice of locations when my friend Kayla recommended the place to me, but I was quickly swayed by the convenience of being a five minute drive east of the pier, and a twenty minute drive west of seedy Haad Rin, where the Full Moon Party goes down — and where I definitely had no interest in staying. 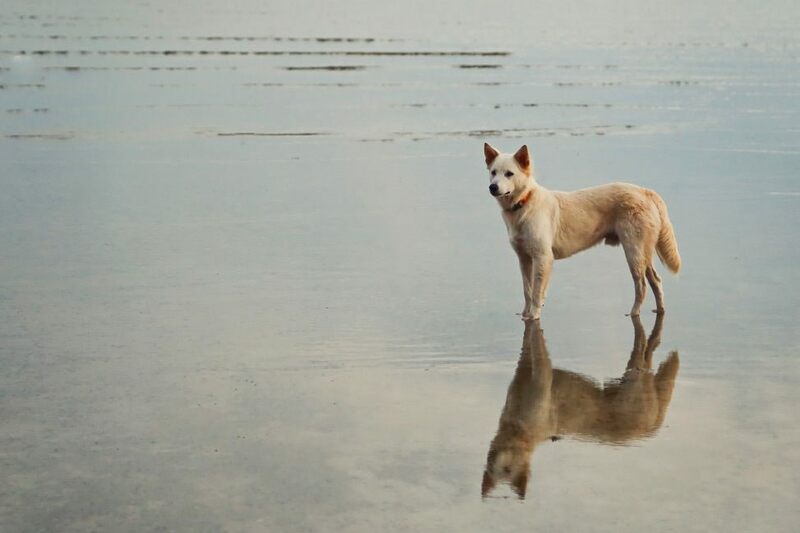 Charm Beach, which has been running for an impressive thirty years, is currently owned and managed by the lovely and Ann, who’s three beautiful Swedish babies and two adorable little dogs can be found running around the resort’s restaurant, bar, pool, or beachfront. Our crew of four slept soundly in a poolside bungalow, but next time I come I’m booking the treehouse — yup, there’s an oceanfront treehouse at Charm Beach! It didn’t take long for me to fall for the simple life at Charm Beach. Rustic beach huts, a thatch-roof beach bar, and a gorgeous stretch of sand — this is the kind of endearing accommodation people come to Thailand hoping to find. 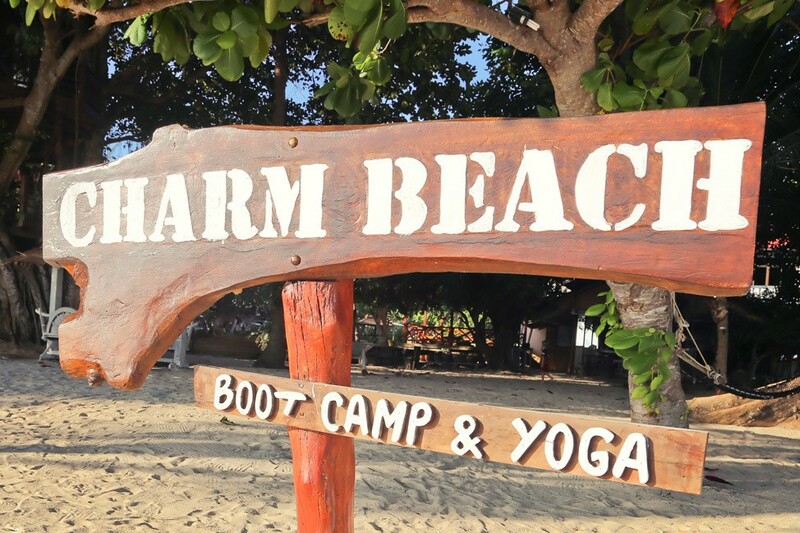 Ann’s passion for healthy living is reflected in the resorts regular offerings of yoga, beachfront bootcamp, stand up paddling, volleyball, and massage — and for the true fitness nuts, the resort is just a few moments from Kobra Muay Thai. In that vein, the only nitpick I can think of to offer about Charm Beach is I would have loved to have seen more healthy dishes on the restaurant’s menu to complement all the great activities on offer. For those looking for a little more relaxing of a stay, there’s an abundance of hammocks, an onsite massage sala and occasional movies screened under the stars. While it was a little windy for paddleboarding and no movies or yoga were scheduled during our short stay, I did take advantage of both an onsite bootcamp class for 250 baht ($7), and an onsite massage for 400 baht ($12). I’m not sure which I loved more! Once the sun sets, treat yourself to a drink at the resort’s beach bar. This is no generic menu of watered down classics — think creative cocktails like the Yellow Dragon, a potent mix of rum, lime, chili and mango, or my favorite the Gin and Yang, made of gin, fresh ginger, lime and lychee. After a lazy first day of catching up on the beach and toasting to the sunset, I managed to talk Zoe and Co. into forgoing Thai food for a night so I could fulfill a major expat craving. We don’t have a fantastic Mexican restaurant on Koh Tao, sadly, and so I was super buzzed to try Ando Loco, just a ten minute walk from Charm Beach. A cute seating area, guacamole by the bowl full and clever fresh juice combinations such as the Haad Rin Eraser — a mix of apple, carrot and ginger — had me smiling so big I barely had to move my mouth to shove a quesadilla in it. I almost ordered the pumpkin chipotle soup on the side but I’m glad I didn’t — now I have something to go back for. The next morning, Zoe and I woke up eager to explore. Mikey and Mikel were still feeling the effects of a bug they’d picked up in their previous destination of Railay, so they stayed behind while we hopped on a motorbike and headed for the west coast of the island. We stopped whenever and wherever something caught our eye, and otherwise meandered fairly aimlessly. Our final destination was Karma Kafe, an organic vegan eatery in Sri Thanu that couldn’t be more Koh Phangan if it tried. We agonized over what to order before finally settling on Malibu Sushi, a plant-based power sushi rolled in nori with organic quinoa, beetroot and raw veggies and topped with organic tahini wasabi and a Karma Burrito, roasted sweet potato-pumpkin medley and black beans inside a homemade chickpea turmeric tortilla. We toasted with an organic hibiscus sangria infused with rosella, and soaked up every second of the good vibes atmosphere. This meal might have been the highlight of the trip for me. Karma Kafe is infused with aloha, shakas, and hints of Oahu. Thailand meets Hawaii? It’s like they knew I was coming. That evening was the big event, the one that had brought this trio to my neck of the woods in the first place — the infamous Full Moon Party. I have to admit that having attended twice in the past, I wasn’t exactly anxious to return to this lunar celebration a third time. But this yes girl wasn’t going to start no-ing no! Around sunset, we rallied the boys and hopped in a share taxi down to Haad Rin to get painted and start partying. Charm Beach turned out to be the perfect place to stay for the party — easy and affordable to get to and from, yet blessedly removed from the madness. 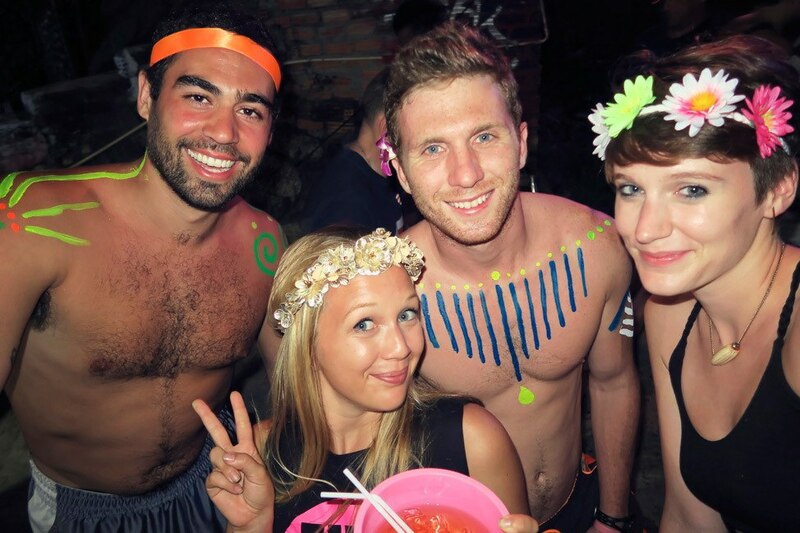 I’ve written at length at the Full Moon Party and all my tips and tricks before, so I won’t rehash that here. What I will say is party has changed a lot since I last attended in 2011 and 2013. Things seemed considerably tamer, with more police and medic presence, very few fire swings or shows, just a handful of people braving the waterslide, and several disgruntled party-goers complaining about the lack of mushrooms available at Mushroom Mountain, a once popular bar that appears much less favored now that its drinks aren’t psychedelic-infused. 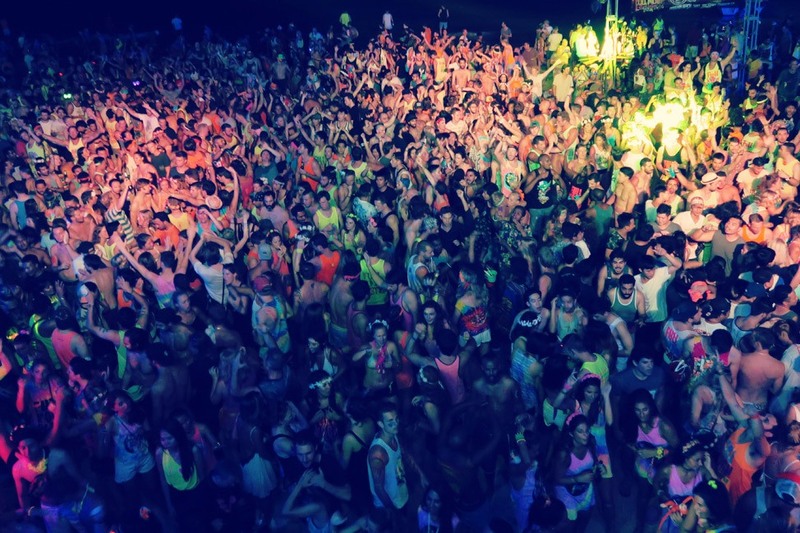 This is all probably great news to the emergency service providers on the island and travelers who may have left bandaged and bruised in previous years, but is also probably a bummer to some who have waited anxiously to travel to this once-legendary beach rave. I’ll never say never, but it’s quite likely this was my last ever Full Moon Party — though I’m more than up for returning to the island for some of their less overdone events, especially those that take place in the jungle. The next morning, we slept in until check out and then nursed our hangovers over brunch at Le Nanthai, which the internet sadly informs me was permanently closed very shortly after our visit. I’m bummed to hear it considering it was our third amazing meal of the trip, and I’d very much looked forward to recommending and returning there. Koh Phangan, you are a beauty. I couldn’t have enjoyed this getaway more and love that despite living on a tiny island in the Gulf of Thailand, I can still go away for the weekend after less than two hours on a ferry. 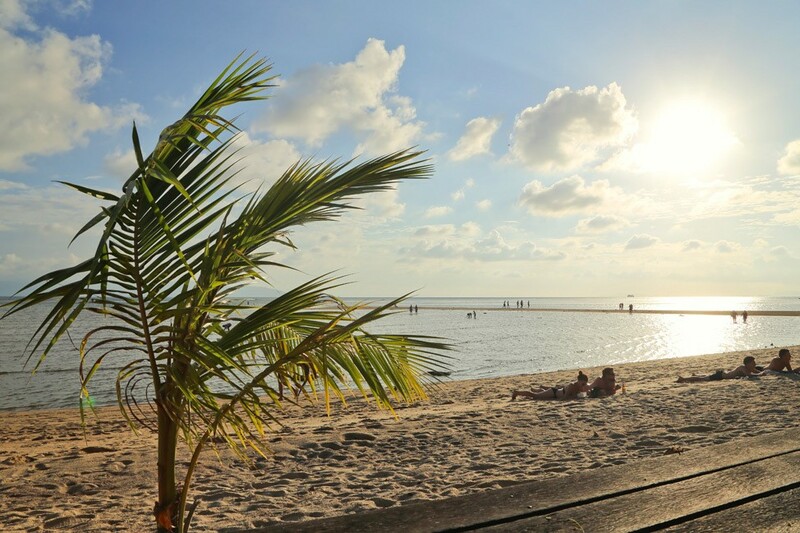 The tropical island scenery might not change too much, but who would want to stray too far from this? 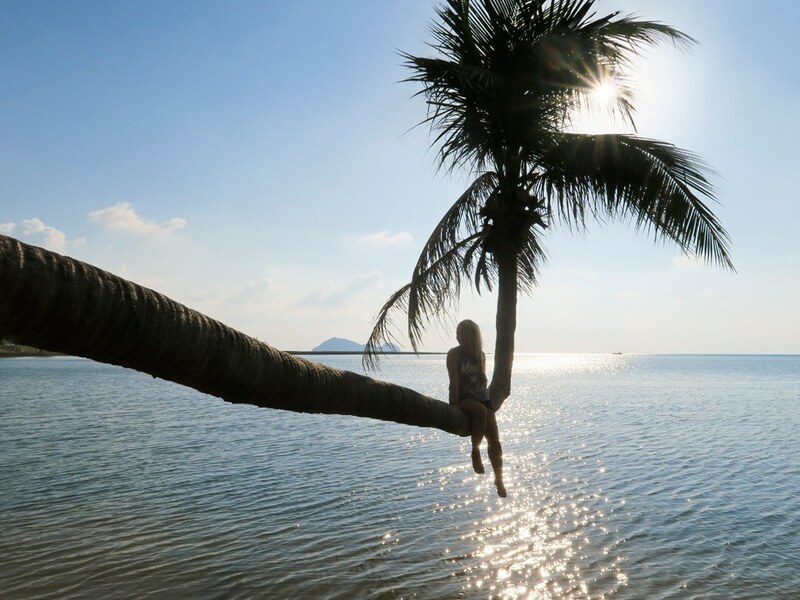 Have you been to Koh Phangan? What favorite spots do I need to explore next time? Many thanks to Charm Beach Resort for their hospitality. As always, you receive my honest opinion regardless of who is footing the bill.